Some of the local bakeries have introduced something a little different but I’m not sure it is something that is new. At a recent visit to the Bleeding Heart Bakery in Chicago, IL I was perusing there display and came a cross these little colorful balls. 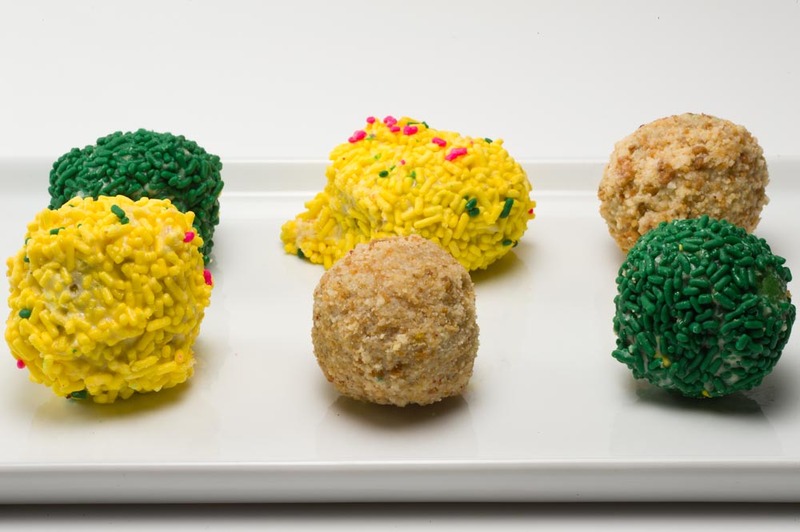 These “Cake Balls” are what I consider a decadent treat. The flavors were yellow, chocolate, and even red velvet cake. The colors on the outside ranged from the bright vibrant yellow to a warm toasty light brown to a dusty red, to mention a few. 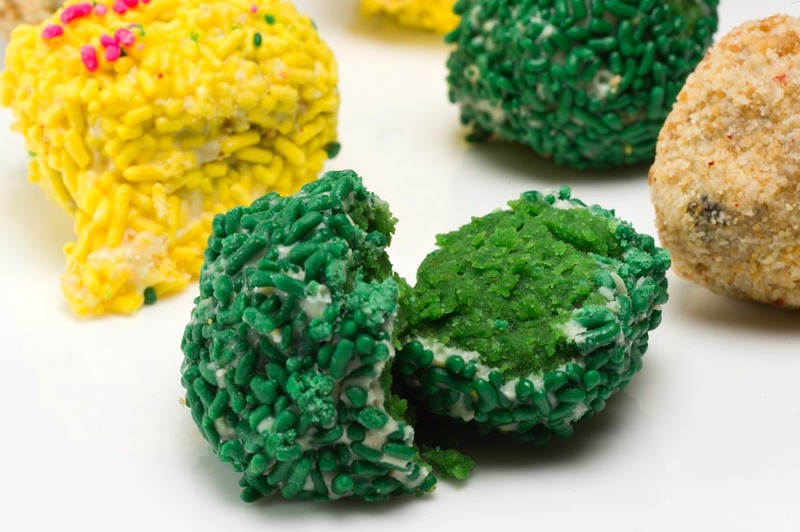 The real treat comes when you bite into one of these. The cake was sweet, moist, and very full of flavor. Just below the colorful sprinkles was a layer of sweet icing. Just enough to make the flavor pop in your mouth. WARNING, these things are habit forming.